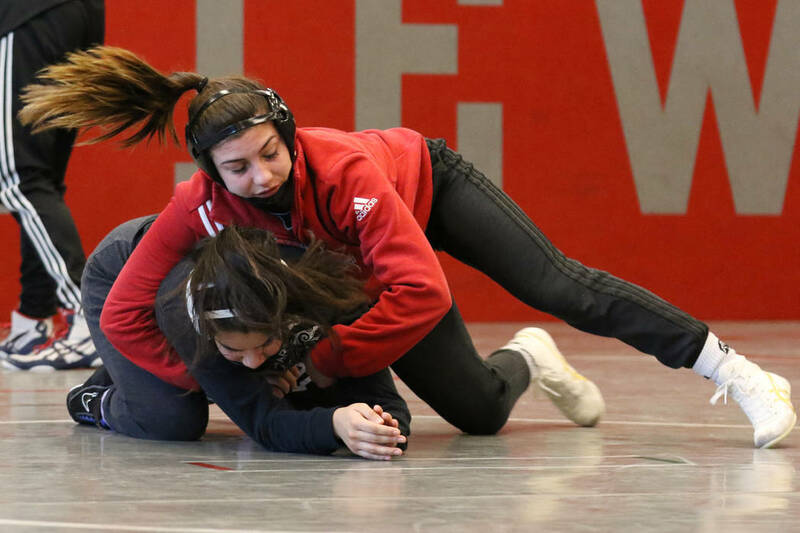 It wasn’t long ago that upperclassmen inside the Arbor View wrestling room warned their younger teammates not to lose to a girl. But for the past three regular seasons, one of the Aggies’ best wrestlers has been a girl. 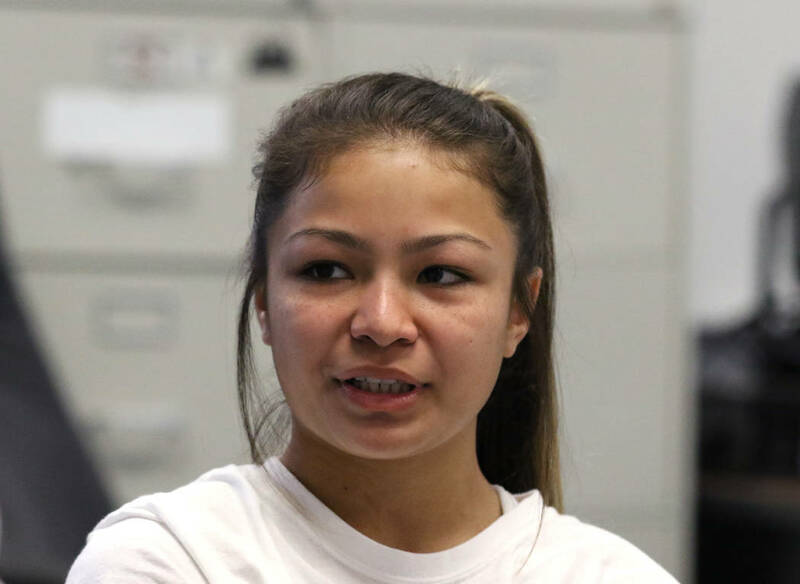 It wasn’t long ago that upperclassmen inside the Arbor View wrestling room warned their younger teammates not to lose to a girl. But for the past three regular seasons, one of the Aggies’ best wrestlers has been a girl. Peyton Prussin, ranked by USA Wrestling as the nation’s No. 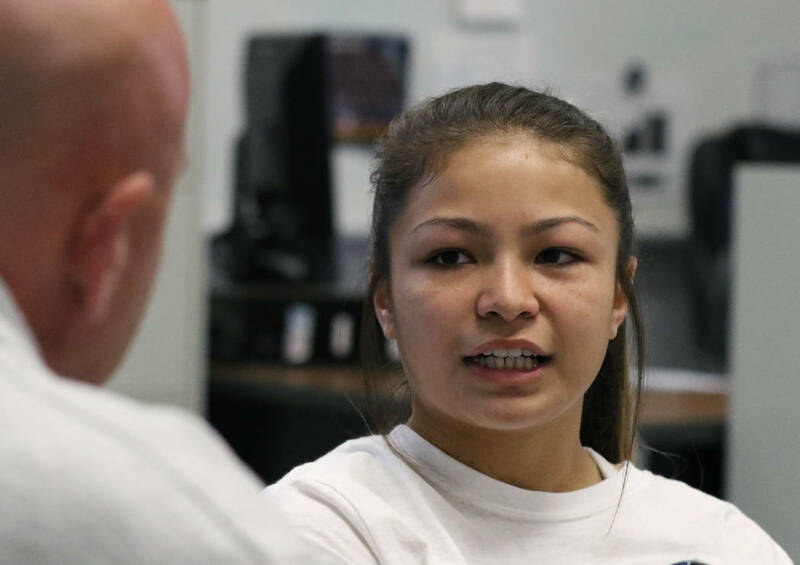 1 girls high school wrestler at 112 pounds, is on an impressive list of female wrestlers from Southern Nevada. Freshman Sterling Dias of SLAM Academy won a cadet national title last summer in Colorado Springs, Colorado, is ranked eighth among 100-pounders and will wrestle in the 106-pound division this season. She will be joined at 106 pounds by Shadow Ridge’s Tehani Soares, ranked 10th, and Centennial’s Jenavi Alejandro, ranked 15th. Prussin has laid the groundwork. The 17-year-old Life University (Georgia) commit just missed state as a freshman at 106 pounds after losing in the third-place match at regionals, was a state qualifier as a sophomore and missed regionals last season because of injury. She will wrestle at 113 pounds this season. 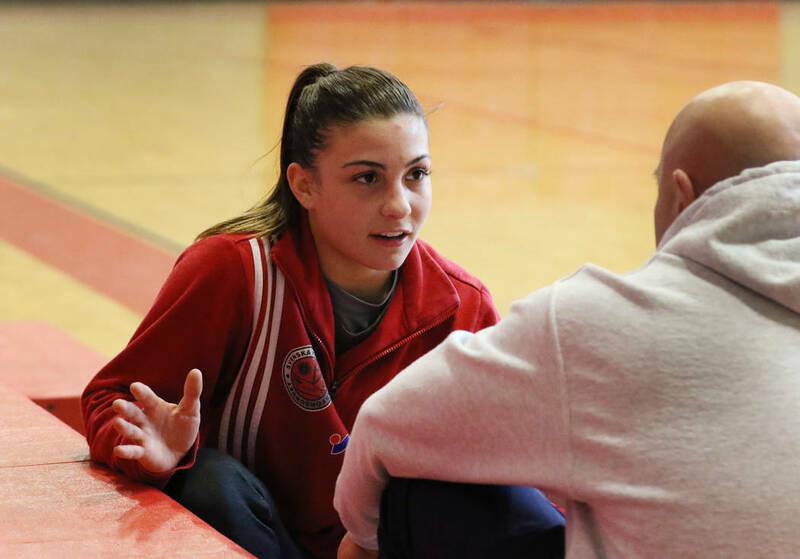 After overcoming a mental block in wrestling against the boys her first two years, she now takes invaluable lessons that she’s learned since she began competing for the national team and applied them to her technique and strategy. She said she doesn’t have any major goals for her senior season, other than to grow her game and build an arsenal of strategies before moving to the next level. Prussin said there is a sense of pride knowing she has been a trailblazer and that female wrestlers are being taken more seriously. Shadow Ridge coach Gus Gledhill said he thinks the landscape has changed toward a more competitive field in the lower weight classes because girls see an opportunity to work toward a college scholarship. The exponential growth of the female participants has pushed the boys to work harder. 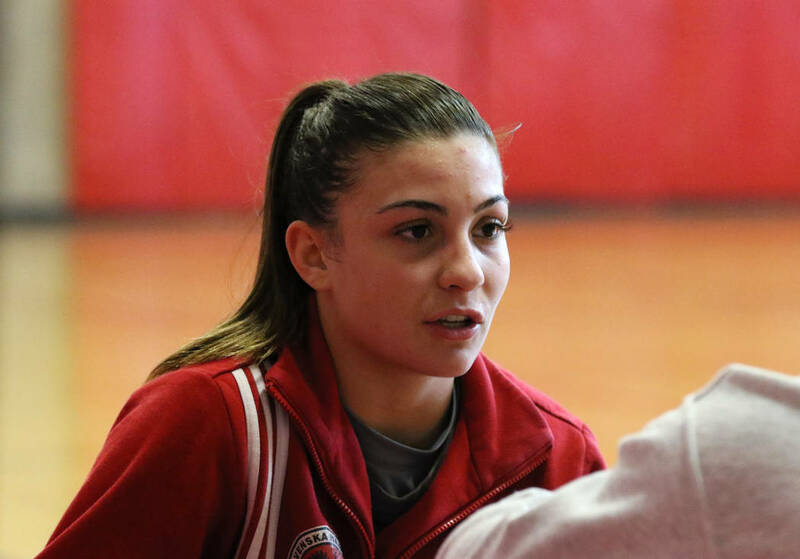 With an MMA background, siblings who also wrestled for the Mustangs and a father who coaches MMA, Soares, a junior, says the girls pull for one another. “You see the really good girls, like Sterling or Peyton, and you just want to get in there after you see them. We’re all just trying to be better for each other,” she said.